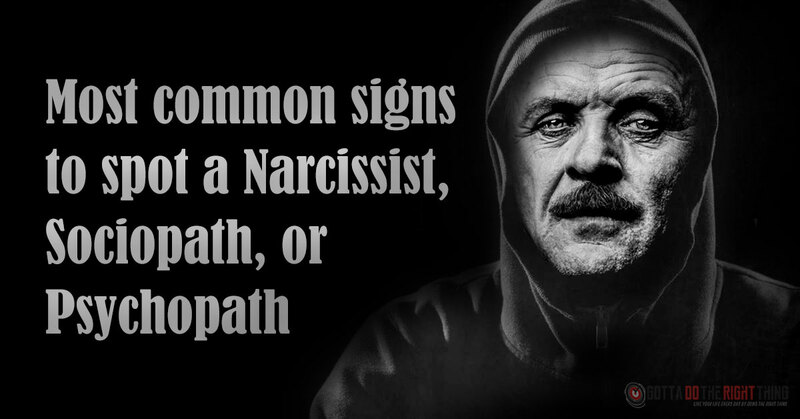 Even though psychopaths, narcissists, and sociopaths seem like they are nice and even charming, they are not. There is something dark inside them, an endless path of poison, manipulation, lies, torture, etc. In order to keep yourself safe from these people, you need to learn the traits they share, and in this article, we offer you eight of them. Psychopaths, narcissists, and sociopaths are so charming they will sweep you off your feet. They are really good at finding great ways to please you. They will act good-hearted, innocent, buy you gifts, tell you sweet words and exciting stories. With these people, you will feel special because they will give you the entire world, and then, in one moment, they will make you feel like you are worth nothing. You will feel like the only thing you deserve is manipulation. These people will do whatever it takes in order to make you think of them as they are a definition of perfection. But, later on, they will reveal their real face. But, you have already created a picture in your mind, and you cannot easily accept their true face. This situation is called cognitive dissonance. They make you suffer from self-doubt because you find it hard to accept their fakeness. They are capable of manipulating with words in a perfect way. Whenever they want to get something from you, they shower you with lies. Sometimes, when the truth is so obvious, they will still deny it. Making up stories coverts the truth, and the situation gets very complicated. They lie so much that they even begin believing in their own lies. Masters of making a complete chaos. They are capable of setting a fire and watch it burn very calmly and peacefully. They have the role of a victim, so in this case, you are the guilty one. They will always blame you for everything.